Remember doing group projects in school? Typically your teacher would partner you up with students who had different skills. Maybe a good writer would be matched with someone who knew math, for instance. In theory, you would each teach the other; the group project would get done, and everyone would learn. But what really happened? Perhaps pushed for time, at some point everyone in the group realized that the job needed to get done. And if you wanted to do well, this meant dividing labor. 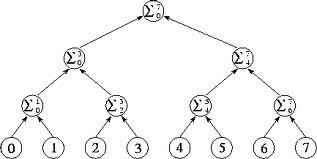 You broke down the project into parts, as in the well-known "divide and conquer" algorithm pictured here, and each of you took on the part that you understood best. In the end, the project was a success – but the math person did even less writing, and the writer again avoided math. So goes the partnership fallacy: We partner up hoping to improve our weaknesses, only to divide labor and so make our weaknesses even worse. Business leaders often fall victim to the partnership fallacy. For example, it may be hard to believe today, but in the early 1990s Apple Computer (as it was then called) was widely known to be bad at making small devices. The company’s earliest attempts to make small computers had flopped. Meanwhile, Sony stood out as the worldwide leader in making cool, miniaturized electronics. So Apple’s leaders decided to form a partnership with Sony. The idea was for Apple to learn about miniaturization while producing a laptop computer. 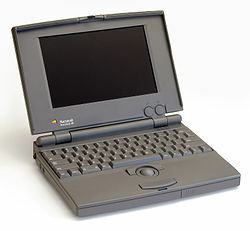 History says that the alliance succeeded, because it created the first “Powerbook” computers. But in terms of learning, the alliance was a failure. Case studies at the time reported that deadlines kicked in, and pushed the two companies to each stay focused on what they did best. In particular, Sony took care of miniaturization, with very little day-to-day contact between Sony and Apple engineers. In the end, they got the job done – but Apple emerged without learning Sony’s miniaturization magic. What’s more, often partnerships fail even to accomplish their stated goal, never mind learning. If you have much experience, you can probably name an example or two of failed partnerships. Business leaders typically allow these arrangements to fizzle out without much fanfare. Combining firms through merger and acquisition suffers this problem, too. We talk a good story about “synergy” and “learning” and “1+1>2”, but the evidence shows that combining firms typically increases only the variance in performance (not the level of performance as promised by “synergies”). The lesson: Partnerships are not a substitute for learning by doing. Partnerships sound great during a planning session. After all, who can argue with the idea of bringing in somebody who already knows what you need to learn? But ask yourself, how did they come to know? Odds are, they learned the old-fashioned way: by doing. Effective leaders understand how organizations learn, so they avoid the partnership fallacy. Partner if you must, but don’t fool yourself that this is a great way for your organization to learn. For a thorough academic study highlighting the value of organic learning and growth, read my book on competition.